Love carrots? 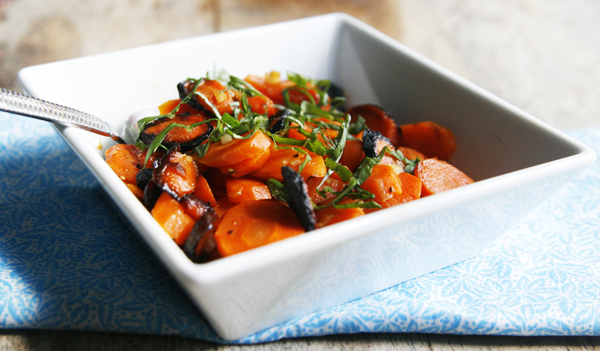 These Grilled Foil Packet Carrots with Garlic and Basil are a quick and easy recipe for turning carrots into something totally memorable. Serve these with whatever is coming off the grill today. This recipe was created for my client Pompeian but all opinions are my own. Carrots are good for eyesight — or, at least that’s what I was told every time they appeared on the table when I was a kid. But health benefits aside, I have always been a fan of these sweet orange veggies. And when I discovered how amazing carrots can be when they are roasted or grilled? Well, that was a total game-changer … because wow. Of course, we all do know that carrots are super good for you. They are rich in beta carotene, a powerful antioxidant, as well as Vitamin A. So you can feel good when you serve them. Seriously. 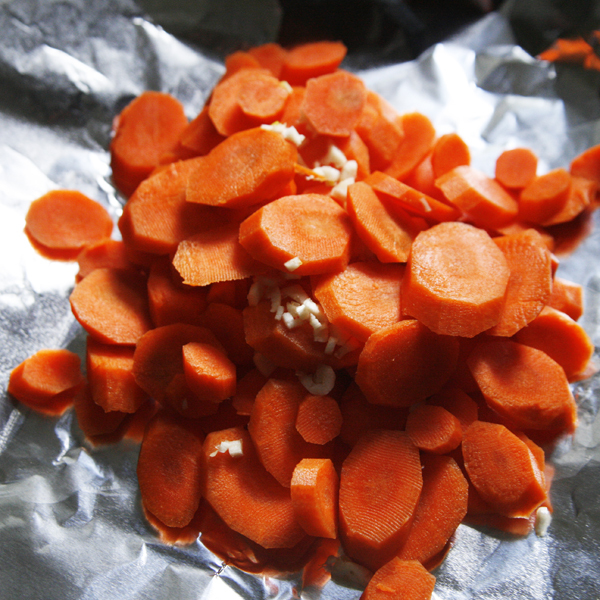 This quick and easy recipe for grilled carrots involves sealing them up in a foil packet. The carrots are cooked with garlic, salt, pepper and olive oil … and these things come together to make them fragrant and flavorful. You won’t be able to resist reaching for more (hint: it’s okay to make extra!). Once they are cooked, you add some fresh basil to the carrots too — which brings the fresh flavor of summer to this dish. For the olive oil, I used Pompeian Extra Virgin Olive Oil, which has a rich and bold flavor that adds to the dish. As you may remember, I am a brand ambassador for Pompeian — because I love their products. And this olive oil is no exception. The nuanced flavor hits all the right notes for me, so I love using it — both in salads and in dishes like this. I recently had the opportunity to participate in an olive oil tasting with Pompeian, which was so interesting. After trying a variety of oils, I realized that I most like bold olive flavors. When I look for extra virgin olive oil, I love it to have a sharpness to the flavor. And Pompeian Extra Virgin Olive Oil had that. Have you made a grilled foil packet dish before? 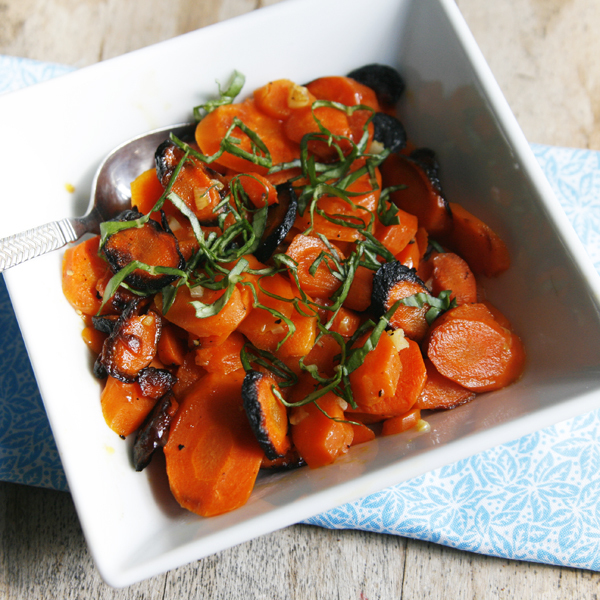 What’s awesome about it is that some of the carrots get a little caramelized, which totally enhances everything about this fresh, grilled dish. It’s kind of amazing. How do you like your olive oil? 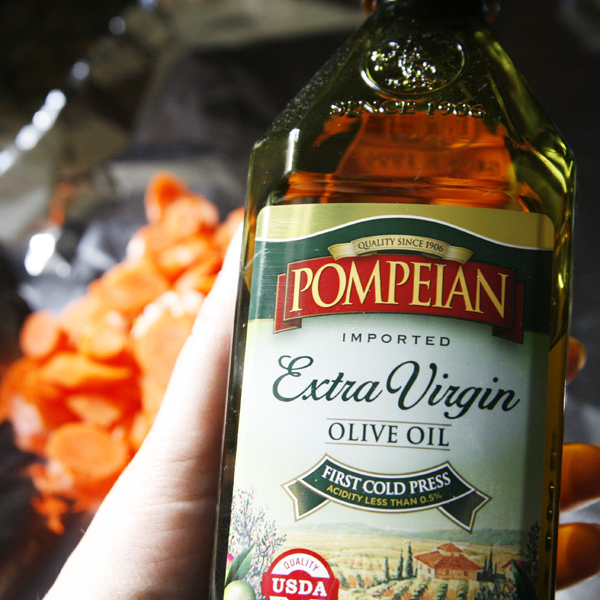 Have you had Pompeian Extra Virgin Olive Oil? On a large sheet of aluminum foil, pile the carrot slices. Top with garlic and mince gently to combine. Drizzle with Pompeian olive oil and sprinkle with salt and pepper. Then, pull the opposite ends of the foil together, pressing to seal. Do this for both sets of edges, so you form a sealed foil packet. Place on the grill and let cook, undisturbed, for about 25 minutes. Carefully remove from the grill and open (caution!! It will be hot and steam can burn you). Transfer the carrots to a serving dish and top with basil. Enjoy immediately. These are also delicious served chilled. Disclosure: I was compensated for creating this recipe but all opinions are my own. I’ve been packing carrots in our lunch lately. I can’t get enough of their sweet crunch.